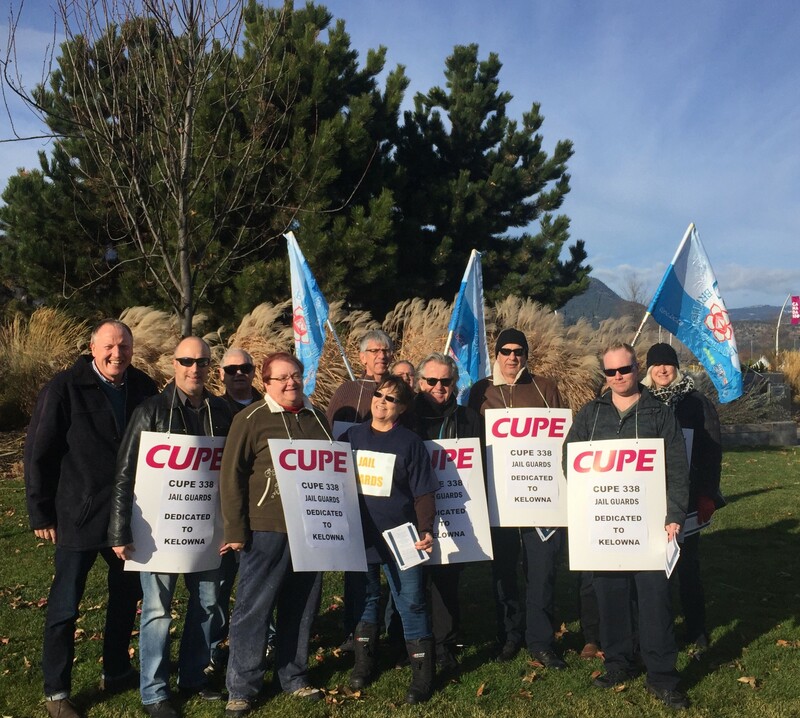 A crowd gathered at Stuart Park today to support a fair first contract for CUPE 388 members who work as jail guards at the Kelowna RCMP detachment. After more than six months of negotiations the 17 jail guards are still without a contract. CUPE BC President Paul Faoro spoke at the rally and sent a strong message to Commissionaires BC and the City of Kelowna. “We won’t stop until these 17 CUPE members have a fair collective agreement. CUPE BC is the largest union in this province and you have 87,000 members standing behind you. CUPE 338 President Lee Mossman says there is one final outstanding issue and that is wages. CUPE 338 has asked for a wage increase of $2 per hour, $1 of which would be retroactive to when bargaining started and the other $1 increase would be retroactive to October 19, 2017. Mossman says that while the union has taken a strike vote they are committed to resolving negotiations at the table if at all possible. While no further bargaining dates have been scheduled, the union is prepared to return to the table to have meaningful discussions with Commissionaires BC.